Our story tonight picks up as the Imperial Base on the planet Eadu has just been blown apart by the Rebellion. Our heroes have come here for Galen Erso, who designed the Death Star, but for very different reasons… Jyn to save Galen, her father; Cassian to kill him so he can be of no further use to the Empire. 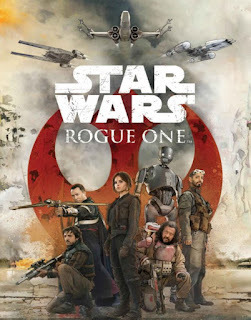 In the wake of the destruction at Eadu, Cassian and Jyn must work together to get the Death Star plans from the Imperial Archives on Scarif, and implement the flaw that Galen Erso built-in to his design to destroy the Death Star, and deprive the Empire of its greatest weapon.